ASTANA. 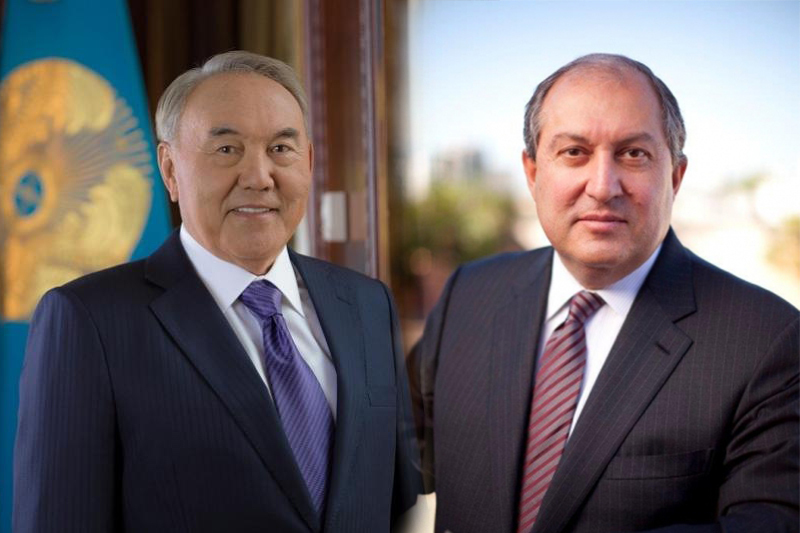 KAZINFORM - The First President of the Republic of Kazakhstan-Leader of the National Nursultan Nazarbayev has held a telephone conversation with President of Armenia Armen Sarkissian today, Kazinform has learnt from the Akorda's press service. The Armenian President praised Nursultan Nazarbayev's role in the formation and development of Kazakh-Armenian relations based on mutually profitable cooperation and for the benefit of the two nations. Armen Sarkissian also stressed that Nursultan Nazarbayev is one of the most respected politicians of our time who greatly contributed to the strengthening of stability and security worldwide. The sides agreed to keep in touch in the future.